Paul Williams stands at the counter of Zinc Cafe in Corona del Mar folding a wad of bills into the tip jar. You can tell a lot about a person by the way he tips. “I am.” A wistful smile blooms on his face. The woman says that she and her husband, who’s seated inside, just wanted him to know how much they’ve enjoyed his work over the years. Williams is gracious in thanking her. He pops the tab on his Diet Coke and dives into a plate of huevos rancheros. “Really good,” he says, patting his mouth with a napkin. Williams wears a blue collared shirt, jeans, a dark jacket, and round-framed glasses. He has a silver stud that pierces his left earlobe: a triangle inside a circle. 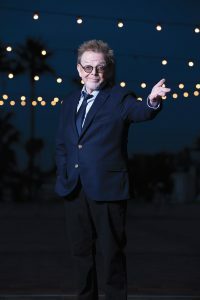 Williams talks about his Amazon Prime show “Goliath” and his songs—one hit after another—recorded by dozens of icons, from Elvis Presley and Frank Sinatra to the Carpenters and Kermit the Frog. He has won three Grammys, two Golden Globes, and one Academy Award, yet he’d rather talk about his work for the recovery community, which makes him the most proud. He cites the date he got sober: March 15, 1990. For life to be truly interesting, Williams says, vigilance is required. Once sober, you regain the capacity to listen. Williams has always looked young—at age 26, he played a teen in the film “The Chase” with Jane Fonda, Robert Redford, and Marlon Brando. He might not have appreciated his youthful looks then, but at 78, he looks more like 60. While he began finding roles as an actor, “The Chase” gave him his start as a songwriter. 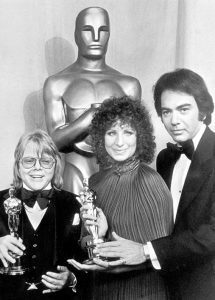 Duvall liked what he heard so much that he pointed out Williams to director Arthur Penn. Williams played his newly written song in the film. Two years later, he was writing songs professionally. Now he’s considered one of the most popular songwriters of all time. 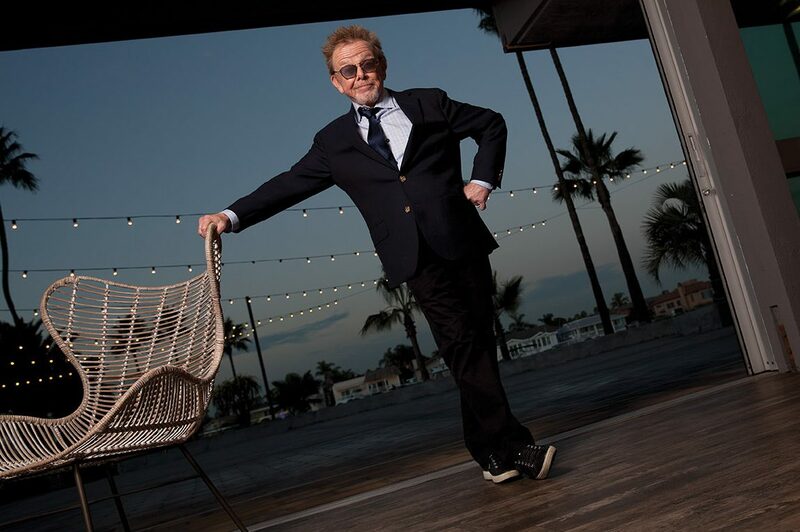 He has been inducted into the Songwriters Hall of Fame because of songs such as “We’ve Only Just Begun,” “Rainy Days and Mondays,” “Rainbow Connection,” and “Evergreen.” He has released more than two dozen albums and provided songs and scores for dozens of films. It’s the same reason he prefers to golf at Meadowlark Golf Course in Huntington Beach over Pebble Beach near Monterey. When Williams brings up Orange County, he speaks in superlatives. In 2009, Williams was elected president of the American Society of Composers, Authors and Publishers, a group with nearly 700,000 members worldwide. Williams advocates for defending songwriters’ and composers’ copyrights. He has testified before Congress on matters around intellectual property and digital copyright, and was instrumental in getting the Music Modernization Act passed. He relates his work with ASCAP back to his favorite topic: recovery. He made 30 stops on his last trip around the nation to speak about recovery—to drug court judges, drug and alcohol associations, and at conferences. He’ll speak anywhere he’s asked. Williams sees the blessed aspects in everyday life. 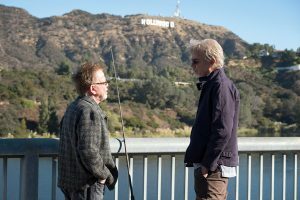 Billy Bob Thornton was on his “Gratitude & Trust” podcast, and their friendship led to a role on “Goliath.” Williams was cast as JT, a lawyer who gives Thornton’s character a hard time for being a drunk. Williams appears in a handful of episodes in the second season and is expected to return for the third. What did Williams bring from his own life to the role of JT? Could he play this role with so much sincerity had he not been an addict himself? Williams pursues things that scare him. He has been skydiving and has driven five times in the Long Beach Grand Prix. He writes with the band Daft Punk. As a kid, Williams listened to Frank Sinatra. It made him want to sing. But at 13, when his father died in a car accident, all he wanted to do was act. “I wanted to be someone else,” he says. Now he’s happy to be himself. When he got sober, he started writing the way he was living: with authenticity. 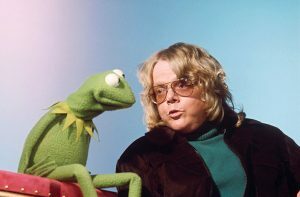 His first major project after this change was writing songs for “The Muppet Christmas Carol.” Writing Scrooge, he could relate. The lyrics poured out of him. After lunch, Williams walks over to his car, a charcoal gray 2003 Audi TT convertible with tinted windows. He gets in, and the sports car hums down the street toward Coast Highway, a small but powerful presence, impossible to ignore.